Looking "where to sell my Fiat 2400?" Ask the Chicago Car Club! Are you wondering "where to sell my Fiat 2400 ?" The Chicago Car Club is interested in classic cars of all makes and models, especially a Fiat 2400. We make the process of selling your Fiat 2400 quick and painless. In just a matter of hours we will have your classic valued and, if you do so choose, turned into money in your pocket. All it takes is a phone call or electronic inquiry to get the ball rolling. The 2400 was the updated version of the Fiat Dino, a front engine, rear-wheel drive sportscar, by Italian carmaker Fiat, from 1969 to 1973. 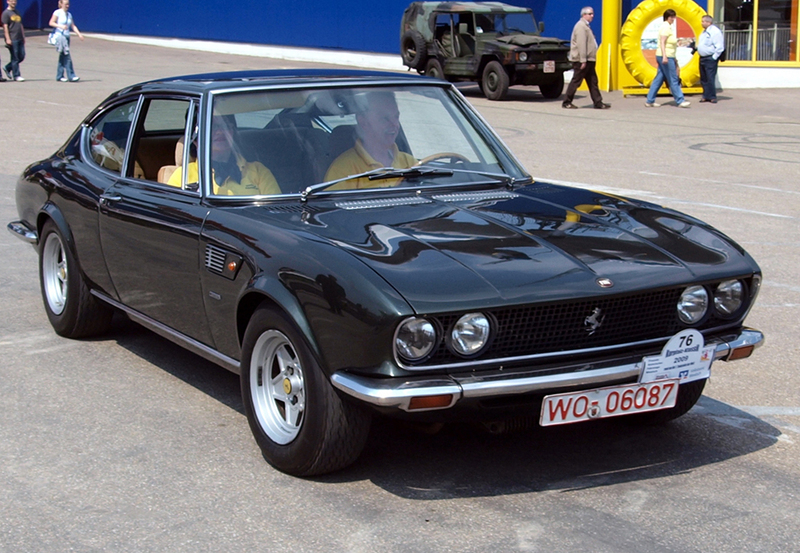 The original Fiat Dino was created because of a need for Ferrari to homologate an engine for their Formula 2 racing team. In 1965, new Formula 2 racing rules required that the engines used come from regular production vehicles with no more than 6 cylinders and to a production of at least 500 cars over the previous 12 months. Ferrari was too small of a company to produce the needed 500 cars, so they contracted Fiat to make those cars. The Dino name came from the nickname of Enzo Ferrari’s late son Alfredo Ferrari. Alfredo had died several years before, but had been the designer of the innovative V6 racing engine. In 1969 Fiat and Ferrari both updated the engine to 2.4 liters. It had more torque and better pickup at lower speeds, making for a more exhilarating ride, even at city driving speeds. Another improvement was the Girling duo servo disc brakes, which were also on high-end sports cars, such as De Tomaso Pantera and Lamborghini Miura. The clutch plate size was increased, which was part of the all-synchromesh 5-speed manual transmission system. The bodies for the cars were made by Italian independent coachbuilders Pininfarina and Bertone. Pininfarina made the spyder convertible cars and Bertone made the coupe bodies. The car’s final assembly was done at the Fiat plant at Rivalta di Torino. Of the 7,803 Fiat Dino cars produced, the 2400 spyder is the most rare, with only 420 produced.